Dacia has announced UK pricing and specification for the updated Sandero, Sandero Stepway and Logan MCV. Unveiled at the Paris Motor Show in September and available to order now, the updates to the range include changes to the interior, exterior and equipment levels, while also seeing the introduction of a new SCe 75 1.0-litre three-cylinder petrol engine for the new Sandero and new Logan MCV. This engine produces the same power as the outgoing 1.2-litre 16V 75, yet is up to 10 per cent more efficient. The TCe 90 petrol and dCi 90 diesel engines continue to be available across the revised range. 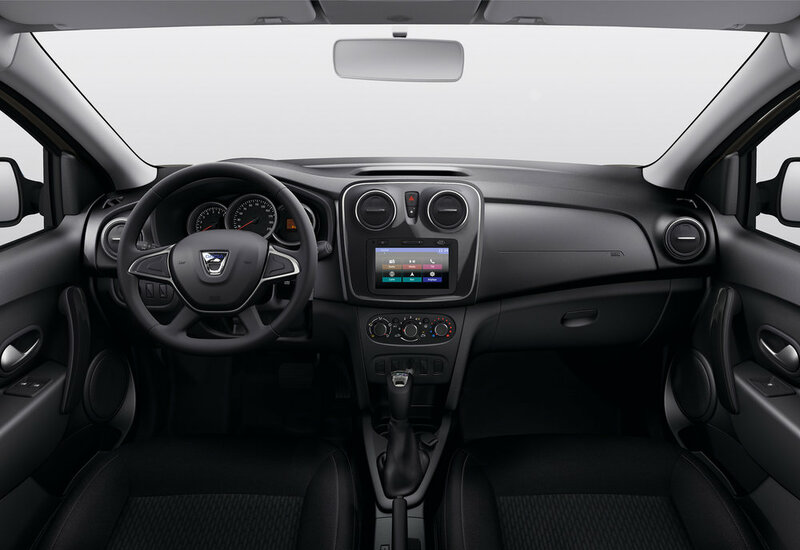 The new front end design showcases Dacia’s fresh lighting signature. All three models receive new double optic front headlights and there are also LED Daytime Running Lights as standard across the range – a first for Dacia – which feature a pattern of four stacked rectangles. A brand new grille with a honeycomb design – edged in chrome on the Sandero Stepway and with a chrome centre line on the Sandero and Logan MCV – together with a sharper, more ‘chiselled’ bumper complete the more ‘dynamic, contemporary look’. Fresh wheel designs for all three models round out the exterior changes, along with a new Mink colour and the Chestnut that was previously unique to the Ambiance Prime trim level. Prices for the new Sandero start at £5,995 OTR for the Access SCe 75 to the range-topping Lauréate dCi 90 - which costs £10,395 OTR. The new Sandero Stepway, which features more rugged styling, starts at £8,795 OTR for the Ambiance TCe 90 to £11,395 OTR for the Lauréate dCi 90. The new Logan MCV starts at £6,995 OTR in Access SCe 75 trim to the Lauréate dCi 90 Logan which costs £11,395 OTR. The Dacia Duster SUV - which was recently enhanced with the availability of the automatic six-speed EDC (Efficient Dual Clutch) transmission - starts from £14,995 OTR in the EDC Lauréate trim and £15,895 OTR for the EDC Prestige model. Described as the most 'affordable automatic crossover in the UK', the Duster EDC combines the comfort and smoothness of a dual-clutch automatic gearbox with fuel economy and low CO2 emissions that are similar to those of a manual gearbox.